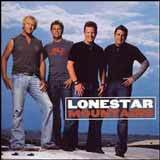 Multi-platinum selling group Lonestar released their ninth studio album, Mountains, on October 17th. The album shows the band’s ability to push themselves both musically and creatively to make a recording that relays their passion for the important things in life. This, all while capturing their signature sound that fans have grown to know and love. The album’s high points are many. From “Cowboy Girl,” a rowdy upbeat ode to a woman of the Texas variety, to “I Wanna Do It For You” co-written by Dean Sams about a friend who offers love and devotion but wants to be more, to the Richie-penned “Hey God” a piece of pure optimism in giving a simple prayer of thanks, this album is a true testament to what all four members of Lonestar stand for. Throughout, Richie's voice has never been stronger or more passionate, and the instrumental and vocal backing has never provided a more solid setting for them as a group. Lonestar, who have been making music together for over ten years, have shown no signs of slowing down with a rigorous touring schedule across the U.S. Their current single, ‘Mountains,’ from the album of the same name, has struck a cord with fans and is #21 on the Billboard charts and climbing. 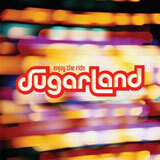 The story of Sugarland is one of those fairy-tale country music successes that just warms your heart. For one thing, it has the most idyllic of starts: an early morning round of coffee at an Atlanta Starbucks where Jennifer Nettles and Kristian Bush sat down and penned a list of their dreams on a napkin. Check. Check. And double check. In the two years since the Top Five single "Baby Girl" put Sugarland on the map, they've accomplished more than anyone ever expected, least of all Jennifer and Kristian themselves. With almost three million copies sold of their Mercury Nashville debut, Twice The Speed Of Life, an American Music Award for "Favorite Breakthrough Artist," an Academy of Country Music Award for "New Duo/Group of the Year," a Grammy nomination for "Best New Artist," six CMA nods, arena tours from coast-to-coast and appearances on national TV shows like The Tonight Show and Good Morning America, the little band that could did, in a big way. "Once we hit the million mark, that was a head-scratcher for me," says Kristian. "Anything past that, I never imagined." Vince Gill talks about his new 4 cd set at Itune! Vince Gill discusses his new 4 CD/4 genre set "These Days" from concept to recording. In an unmatched outpouring of virtuosity and energy, Vince Gill has created "These Days", a 4-CD set of 43 new and original songs to be released Oct. 17. The collection features the new single "The Reason Why" and is an artistic tour de force that displays Gill’s mastery of lyrics and musical styles, ranging from traditional country and bluegrass to jazz and rock. The Best of THE SONS! 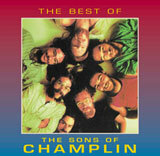 Acadia Records is please to announce the release of "The Best of the Sons of Champlin". This full length CD collection rounds up the best of their material recorded for Capital Records. The annual MusiCares Person of the Year tribute dinner and silent auction take place during Grammy week. Each year the dinner honors a recording artist who has made a significant contribution to the world of music and has demonstrated extraordinary humanitarian and philanthropic efforts. The event generates financial support for MusiCares and draws attention to the important work of the organization. The MusiCares Foundation was proud to honor James Taylor as the 2006 Person of the Year. Best known as the quintessential singer-songwriter, James has maintained an unparalleled commitment to music and various philanthropic efforts—from environmental to humanitarian—throughout his career. This DVD released by Rhino, captures the superstar tributes to James Taylor with spectacular performances by The Dixie Chicks, Sheryl Crow, Sting, Keith Urban, Bruce Springsteen, along with songs by Taylor himself. Net proceeds from the sale and distribution of this DVD will benefit MusiCares and its programs to provide a critical safety net of assistance to music people in times of crisis. Dawayne Bailey's new album, "Joyland"! 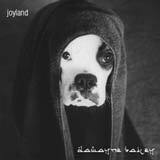 JOYLAND is the new CD by Dawayne Bailey. The term "joyland" covers a myriad of meanings. Dawayne has always felt his music has never been of the "perky variety" and chose Joyland as a term of irony, sarcasm and humor. The cover speaks for itself as Miles, the white boxer, sits in solemn seriousness - sporting his monk-like shroud in heavy ponder mode....and destiny...of a snack. Joyland is also a real place. An old school amusement park that resides in Wichita, Kansas. It was where, as a child, DB first rode his first rollercoaster. Since then, he has developed a love/hate relationship with extreme coasters and decided to go back to a simpler time and place where it all began at 2801 S. Hillside Street. Joyland also became a metaphor for the set of songs contained within. A place on the outside that offers happiness, thrills and joy, but within the "rides" i.e. "songs" reveal other attitudes and emotions as well. A diverse trip of moods and styles. The set begins and ends with "Joyland In Trance" and "Joyland Out Trance" with short interludes in between to connect the dots....or rather...the songs. There are dedications to heroes and one that is dedicated to a person who...ummm...not so much. That itty bitty ditty is called "The Ashlee Simpson Variations", which is based on her hit "Pieces Of Me". DB expresses this by playing and recording 3 separate tracks of piano, based on the variations of a theme. Hero dedications are to DB's children Hilary & Blair (11), Rona M. McDonald (2), Jimi Hendrix, Stevie Ray Vaughan, Carlos Santana (3), an intoxicated E.T. (5), Kevin Gilbert (6), Wes Montgomery (9), Eddie Harris (10), Andy Summers-Sting-Stewart Copeland-The Police (14). Rona had a major hand in the creation of Joyland by singing, playing drums, production and engineering, graphics design and much more. In honor of her father, Albert McDonald, Dawayne and Rona recorded the song he wrote in 1969 called "Please Don't Go". This song is all about "that Sixties vibe". We love and miss you, Al. Peter Wolf produced the (still) unreleased Chicago recording Stone Of Sisyphus and offered his services on "My Miracle". Together, he and DB play keyboards on this Todd Rundgren-inspired track. There's a little bit of Joyland in all of us and we hope you enjoy the ride. Michael Ruff long-awaited CD, "Waters Of Love" - Gospel Live! is certainly one of Michael Ruff's most important and powerful works. "The songs were recorded in front of a live audience (soul food, folding chairs). So many gifted people having a praise party!" The songs, arrangements, performances and production values are all unmistakably Michael Ruff and his incredible friends, in His calling. Water of Love features artists Joey Heredia, Marco Mendoza, James Harrah, Alex Acuna & Tata vega among others. News from Doc Kupka's Strokeland records! Strokeland Records was founded by Stephen 'Doc' Kupka, with the help of Andy Ebon, in 1998. Founded as a platform for Doc's prodigious songwriting, Strokeland Records became the launchpad for the Strokeland Superband, a project assembling the best musicians and vocalists from Tower of Power, past and present, and other great musicians with special links to this music. Doc Kupka asked Jeff Tamelier to serve as musical director and co-producer on the first Strokeland Superband project, "Kick It Up a Step!". In addition to Doc and Jeff, the first Strokeland Superband project quickly included such greats as David Garibaldi, Francis Rocco Prestia, Jim Pugh, Mic Gillette, Marvin McFadden, David Woodward, David Stone, and Lenny Pickett, in addition to even more great guest musicians. On vocals, Doc assembled some of the very best, including Huey Lewis, Bill Champlin, Mickey Thomas, Frank Biner, Glenn Walters, and John Lee Sanders. With the success of "Kick It Up a Step", the Strokeland Superband was again assembled to release Glenn Walters' King of Retro Cool in 2000. In 2005, yet another milestone was set with the release of The Law According to Fred Ross featuring the Strokeland Superband. The Strokeland Superband is at work yet again with the upcoming album Bumped Up to First Class. Doc promises that this hot release will harken back to the flavor of the one that started it all, "Kick It Up a Step". Doc discusses a little of the history of Strokeland Records and talks about his two new projects in the works: "Doc Goes Hollywood" and "Bumped Up to First Class". See the video interview here! 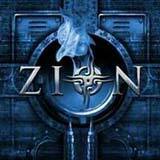 ZION, new project featuring Freddy Cursi! Freddy Curci is arguably one of the best vocalists in Rock History. He's got the combination of vocal talents that all singers strive for. He can sing a ballad with a beautiful, smooth voice like Steve Perry of Journey or Kevin Cronin of REO Speedwagon and then turn around and belt out rocker with a rough edge on his voice like Brad Delp of Boston. He started his career in SHERIFF recording a classic album in 1979 and (four years later!) having a number one song in the USA charts, called "When I'm With You". That song put Freddy into the World Records Book for holding a note for almost 30 seconds! Hot on the heels of the chart success, Freddy and former SHERIFF bandmate Steve DeMarchi on guitar fromed legendary band ALIAS together with ex HEART members Steve Fossen, Mike Derosier and Roger Fisher. Alias released one album in 1989 for EMI worldwide. That record had two U.S. top ten hits: "More Than Words Can Say" and "Waiting For Love", which was penned by famed songwriters Brett Walker and Jeff Paris. 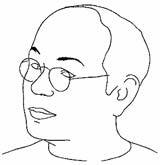 In 1994 Freddy Curci debuted as a solo artist with a cd called "Dreamer's Road" achieving good success in Canada. Six years later a compilation featuring some unreleased songs was unleashed on the market, marking the start of his cooperation with Frontiers Records who released that album in Italy. ALMO will be in concert on Wenesday, October 11st (9 p.m.) at Canal OPUS, Paris. ALMO presents "UNLOCKED", his first SOUL album. The french artist, who has lived and studied in the U.S. and whose musical influences include Stevie Wonder, Elton John, Marvin Gaye, Cat Stevens has developped his own sound ; strong and loving soul R&B with mesmerizing vocals sung in impeccably natural american-english. These generous, limpid and personal songs are the result of ALMO's collaboration with his lyricist Andrew Crocker (USA), and feature ALMO's warm voice in very sensuous grooves and atmospheres. The artistically talented musicians in ALMO's band come from Jazz, World and Pop-Rock backgrounds, thoroughly enjoy together and offer their concert audiences and individual listeners very sensitive music that's full of life. ALMO composed the movie soundtrack of "le Souffleur" directed by Guillaume PIXIE, co-produced by Luc BESSON (Europa Corp.) and Avalanche Production.